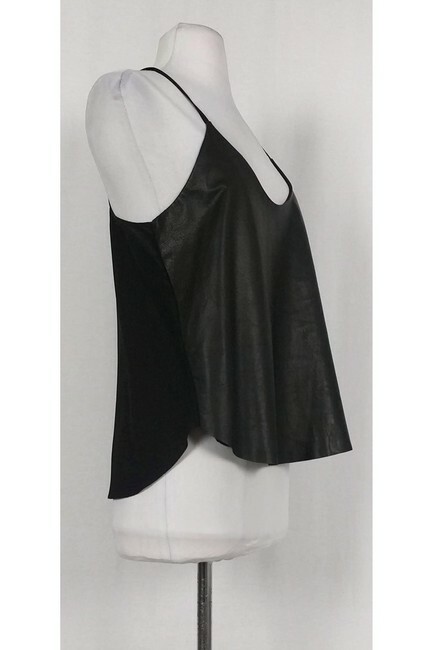 A lambskin front gives this top an edgy flair. Made with a rounded hemline and a key hole back with a drawstring tie. 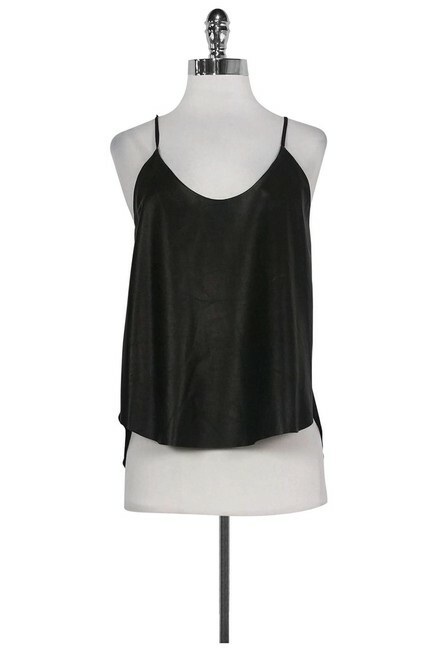 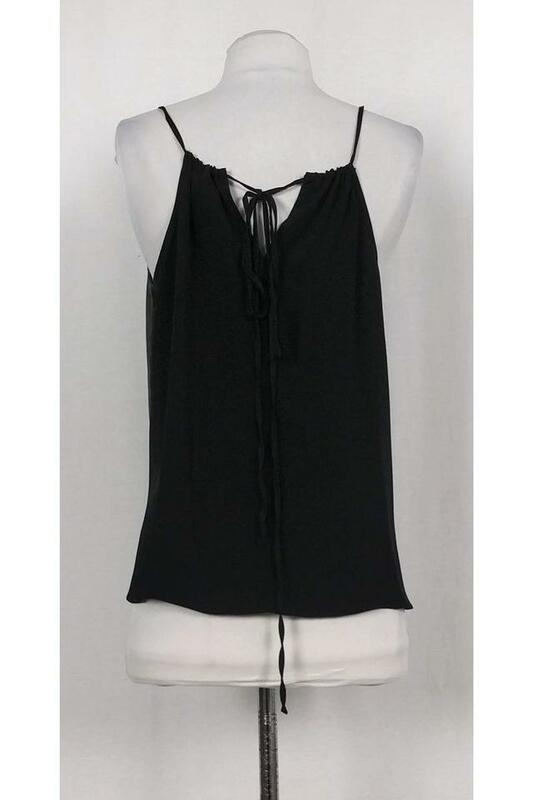 This top can be paired with skinny jeans or a pencil skirt.